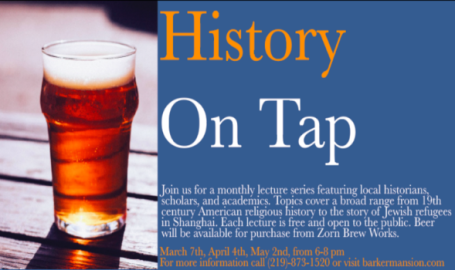 Join us for our monthly lecture series on the social history of the Gilded Age, with craft beer served by Zorn Brew Works. The lecture is free and open to the public. Call 219-873-1520 or visit barkermansion.com for more information.